The recent attacks on Kunming train station represent a watershed moment in China-Uyghur relations, as Uyghurs across China face widespread recriminations. Peter Carney/DemotixOn March 1, a massacre at a busy Kunming train station claimed the lives of at least 29 individuals and injured more than 140. Before long, Chinese authorities blamed the attacks on a group of eight Uyghurs wielding knives who were led by Abduréhim Qurban (also spelled Abdurehim Kurban). Once again, violence in China has been at the hands of Uyghurs, a Turkic-speaking Muslim group who predominate the Xinjiang Uyghur Autonomous Region. The brutal attacks have evoked passionate and angry responses from the Chinese Party-State, Han and Uyghur netizens, and observers in the West. In the wake of the attacks, each party continue to sift through the still scant details of the perpetrators in order to better understand their motives. Meanwhile others appear more interested in engaging in debates on how to properly label the violence. Having conducted nearly three years of research among Uyghurs in Beijing and Xinjiang, however, I can’t help but consider the immediate and long term ramifications of the tragic incident. Certainly, the Kunming attacks will be a watershed moment in China’s overall treatment of the Uyghurs. Since the 2009 Urumqi riots, Western observers, including myself, have leant a sympathetic ear to Uyghur cries of the systematic mistreatment they endure at the hands of the Chinese Communist Party (CCP). Indeed, we have thus far blamed the violence on discriminatory government policy, the inaction of government officials, or Han people themselves – whom Western analysts routinely, yet incorrectly, regard as the compliant executors of CCP policy, with few dissenting voices or reflexive commentary. To be sure, we have condemned the paroxysms of violence that have rattled stability in Xinjiang. But have our attempts to understand the bloodshed in the region and Beijing, unintentionally rationalized these actions? Concluding: violence in Xinjiang is reactionary; the Uyghurs have been provoked. Media outlets operating in China have been quick to dismiss the “West”'s (mis)representation of the violence. Whilst Chinese policy makers, journalists, as well as the broader public have pointed to the West’s “contradictory” reporting practice: it’s only terrorism when it happens on their soil, they retort. In fact, amid growing criticism from Chinese media, the US State Department formally labeled the Kunming attack as an act of terrorism two days after the incident. Instead of chiming in to the “is this or isn’t this an act of ‘terrorism’” polemic, I would like to pose a question that is hopefully worthy of greater scrutiny. Would it not be better to stop debating the symantics of “terrorism” and instead focus on the significance and long term consequences of the Kunming attacks? Indeed, the attacks in Kunming are far more disturbing than other recent episodes of violence. To begin, they occurred outside Xinjiang. But unlike the October crash of an SUV in front of Beijing’s iconic Tiananmen Square, Kunming, the subtropical capital of Yunnan Province, is not a touchstone of Chinese political might. And unlike recent attacks in Kashgar and Khotan wherein perpetrators have targeted individuals with identifiable pro-CCP leanings – police officers, village secretaries, and other government officials, the assailants in Kunming indiscriminately and mercilessly attacked unsuspecting crowds. As the nature of these attacks change, so too will China’s treatment of the Uyghurs. For Uyghurs in Xinjiang, they will inevitably face more stringent surveillance and control as the government tries desperately to prevent further violence. Policy experts have already identified Zhang Chunxian’s, the current Party Secretary of Xinjiang, recently adopted hardline approach to stability in China’s far northwest as a nod in this direction. Invariably, these policies are aimed at curtailing the influence of Islam. To be sure, the CCP distinguishes between “legal” (Ch. hefa; Uy. qanunluq) and “illegal” (Ch. feifa; Uy. qanunsiz) religious activities, but the line dividing the two is blurry at best. Descriptions of the twenty-three “illegal religious activities” remain conspicuously vague and can be broadly interpreted by government officials at local levels. The umbrella of “illegal religious activities” will surely be widened, and even the most mundane forms of Islamic practice will now attract a suspicious gaze, if not the heavy hands, of government officials. For the growing number of Uyghurs who work and study in eastern Chinese cities, they will likely face more distrust and harassment from Han Chinese. Even before the Kunming tragedy, young Uyghurs living in Chinese cities claimed widespread discrimination. According to reports I have gathered, several college-educated, bilingual (Chinese and Uyghur) individuals have been refused rooms at Han-owned hotels. At transport hubs, they are routinely targeted by police during “random” checks and forced to present their identification cards. Unfortunately based on the practices already in place, the next step may be to round up Uyghurs who do not possess proper documentation and send them back to Xinjiang. Based on my experiences on university campuses in Beijing, Uyghur and Han students keep their distance. The rare encounters between Uyghur and Han are regularly shrouded in misunderstanding and prejudice. Uyghur students are routinely asked condescending questions by their Han peers, such as: Why are the Uyghurs thieves? Do you travel by camel in Xinjiang? Do you share rooms with domesticated farm animals? If Chinese blogs provide any indication of the immediate future of Han-Uyghur relations, the teasing will soon mutate into vicious slurs. And finally for the CCP, the violence in Kunming confirms a grim reality—Uyghur discontent is rife and not isolated to a few, misguided individuals in Xinjiang. Thankfully, only a very small minority of Uyghurs will ever turn to violence. However, based on my interactions with Uyghurs throughout China, a large proportion of this marginalized ethnic group willfully reject their forced inclusion into China’s “great family” of peoples. Uyghurs resent China’s language policy, which prioritizes mastery of Putonghua over their mother tongue. 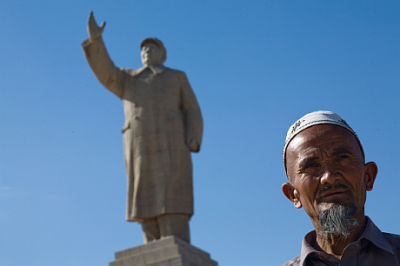 Religiously devout Uyghurs insist that Islam is under attack by the Party-State. And young Uyghurs are frustrated with state and private employers who systematically favor Han Chinese in the hiring process. Until Party officials come to terms with the shortcomings of their policies, they will be incapable of achieving social stability in Xinjiang. I have no doubt that the CCP will maintain its sovereignty over Xinjiang for many years to come. All sides, Uyghur, Han, and the West, must accept this reality. Instead of pointing fingers or engaging in superfluous debate, these parties should redirect their energy towards finding effective, long term solutions that will end the string of senseless violence.